Jos. A. Magnus & Co., a 127-year-old award-winning spirits brand, today announced details of its aggressive national growth strategy. Key initiatives include an expanded and experienced leadership team, broadened national distribution and barrel warehousing capabilities and the launch of several Magnus special releases in 2019. In addition, Magnus revealed plans to temporarily close and refurbish its Washington, D.C. cocktail room, consistent with the brand’s legacy. Updates will include the addition of pre-Prohibition artifacts on loan from the Magnus family archives, with the cocktail room expected to reopen in spring 2019. Ali Anderson has been promoted to general manager of Magnus from her previous position as director of sales. In her new role, she will work alongside a nationwide distributor of premium and craft spirits to leverage the company’s scaling production capabilities. 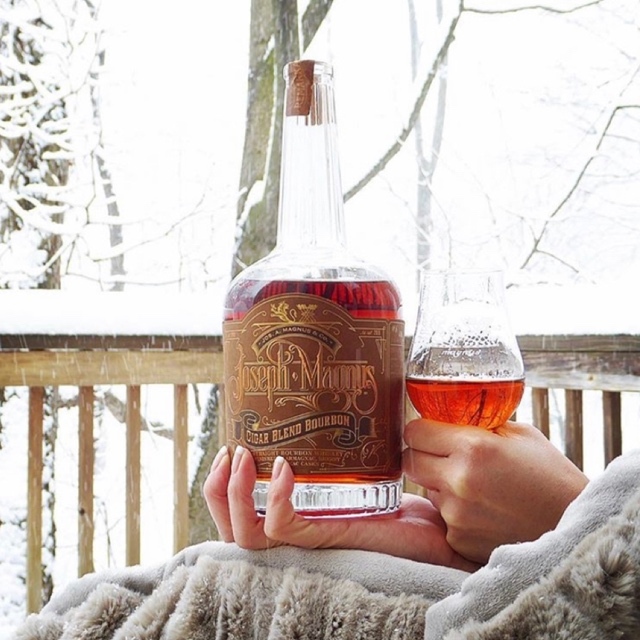 Nancy Fraley, Master Blender, who has overseen the production of many of Magnus’ award-winning bourbons, including Joseph Magnus Bourbon, Cigar Blend Bourbon and Murray Hill Club, will continue to guide the Magnus production team and create several special releases for 2019. Thom Spelde joins Magnus as vice president of production, bringing more than 20 years of experience in the manufacturing industry to the Company. Peter Boardman joins Magnus as distiller from Philadelphia Distilling Co., maker of Bluecoat Gin. He has 10 years of distilling experience. Both Spelde and Boardman will oversee production and the construction of a new barrel warehouse facility in Virginia to meet growing demand. For more information about Jos. A. Magnus & Co. or to purchase spirits, visit josephmagnus.com. About Jos. A. Magnus & Co. Inspired by the legacy of pre-Prohibition distiller Joseph Magnus, the premium bourbon and gins of Jos. A. Magnus & Co. promise “remarkable spirits for remarkable people.” Building on 127 years of rich history, the company now distributes premium spirits in 28 states and delights patrons at its distillery and tasting room located in Washington, D.C. The spirits have garnered the nation’s top awards, including multiple double gold medals, and best-in-class bourbon and gin recognitions, using the very same techniques that Joseph Magnus practiced more than 100 years ago. For more information on Jos. A. Magnus & Co. spirits, legacy and distribution, visit josephmagnus.com. This entry was posted in Spirits and tagged 360, 360 Magazine, alcohol, Ali Anderson, bourbon, Business, California, cocktail, D.C., distiller, Georgia, gin, Growth, hip, hipster, Illinois, Jos. A Magnus & Co., joseph magnus, Nancy Fraley, national growth strategy, New York, prohibition, spirits, Tara McDonough, Texas, Thom Spelde, trendy, Vaughn Lowery, vintage, washington on February 27, 2019 by wp360mag. 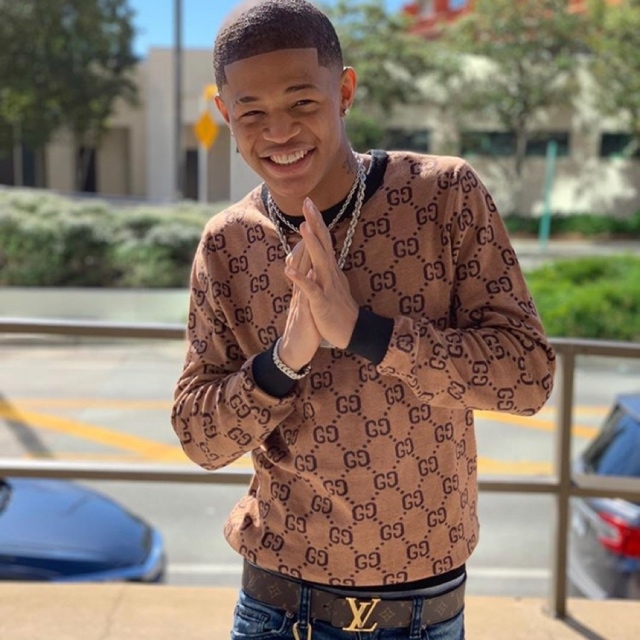 This entry was posted in Fashion + Music and tagged 360, 360 Magazine, Atlanta, Chicago, Dallas, def jam, Denver, future fire artist, hip hop, Houston, Indianapolis, Los Angeles, Minneapolis, mr. valentine, music, new music, new single, New York, Norfolk, Oakland, Phoenix, Portland, r&b, rap, rising star, Sacramento, Tara McDonough, the heat, timing, valentine, Vaughn Lowery, washington, worth it tour, YK Osiris on February 8, 2019 by wp360mag. Tri-state oenophiles and foodies will be the first to savor the newest in fine kosher wines, spirits, and creative cuisine all under one roof at the 13th annual Kosher Food & Wine Experience (KFWE) New York (http://thekfwe.com), on Monday, February 11, 2018. The popular event returns to Pier 60, Chelsea Piers (23rd St. and West Side Highway, NYC). Doors open to the public at 6:30 pm. Trade/media hours are 12 noon – 4:00 p.m.
KFWE New York is hosted by NJ’s Royal Wine Corp., the world’s largest producer, importer and distributor of kosher wines and spirits. New York’s premier kosher showcase will feature more than 400 intriguing kosher wines and spirits from around the world as well as trend-setting cuisine from leading kosher chefs, caterers, restaurateurs, and gourmet specialty companies. The 2019 edition promises more samples of the latest products, limited editions, and Passover delicacies than ever before, and tickets are expected to sell out quickly. This year’s spectacular wine selection represents all price points, from the Stoudemire Private Collection from Israel ($260 SRP) to Don Alfonso Sauvignon Blanc from Chile ($7.99 SRP). Consumers will be able to sample interesting new varieties from France, Italy, Spain, Israel, Australia, Canada, Chile, Argentina, Washington, Oregon, and California. All wines on offer are kosher for Passover and year-round. One notable addition to this year’s line-up is the Stoudemire Grand Reserve from the cellars of NBA star Amar’e Stoudemire. Made from premium grapes from Kfar Shamay vineyards in the Upper Galilee, only 1,680 bottles of this Cabernet-Petit Verdot blend were produced. 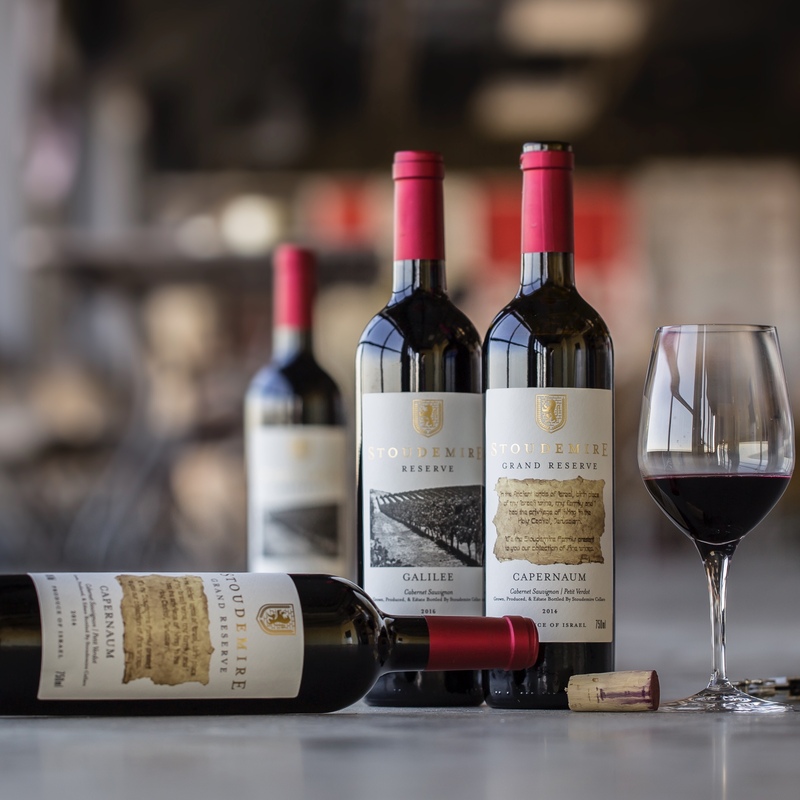 Château Clarke, Listrac-Médoc 2016: The Rothschild family and Royal Wine celebrate the 30th anniversary of this flagship wine with a first kosher run of the estate’s Grand Vin. Château du Tertre, Margaux 2016: This outstanding 5th Classified Cru from Margaux, owned and operated by Château Giscours, has come out with its first kosher cuvee. Château Giscours, Margaux 2016: The first Grand Cru from Bordeaux’s left bank made a kosher run in 1993. Geller says the winery’s 2016 – its tenth kosher production – is perhaps its best yet. Château Lascombes, Margaux 2016: The first kosher cuvée of this second growth Margaux was a sensation at KFWE last year. “The 2016 is a model of class and elegance,” according to Geller. Petit Guiraud, Sauternes 2017 and G de Château Guiraud, Bordeaux Blanc 2017: One of the most venerable First Cru sauternes estates, Château Guiraud, has returned the kosher wine world after a 16 year hiatus. Château Saint-Corbian, Saint-Estèphe 2016: Kosher wines from the Saint-Estèphe appellation are a rarity. This wine features the classic characteristics of the region at an affordable price tag. Herzog Winery will show its finest wines and even some library wines at KFWE. The company has been producing award-winning wines from the most prestigious vineyards in California since the 1980s. “Quality is everything. Kosher is just something we ‘happen to be,’” said Jay Buchsbaum, Herzog’s Executive Vice President of Marketing and Director of Wine Education. Herzog Special Reserve Albariño 2017 plays into the increasingly trendy Albariño, a Spanish white grape variety. It is just one of Herzog’s finest wines being shown at KFWE. Ramon Cardova Albariño 2017: Another Albariño entry, this hails from its original terroir, Spain’s Rías Baixas DO appellation. Royal will introduce two 2017 vintage Burgundy wines: Domaine Ternynck Bourgogne Blanc Chardonnay and Bourgogne Rouge Pinot Noir. Pacifica Riesling 2017: From Washington state comes an off-dry Riesling with a German-style profile. Secret Reserve Malbec 2016: Shiloh Winery produces this rich Israeli wine with ripe red and black fruit notes. Teperberg Providence 2013: Bold and complex, this New World blend is the new flagship wine from one of Israel’s largest wineries. Dozens of gourmet kosher restaurants, chefs, caterers, and food companies will serve up delicious fare including sushi, kosher poke, bison, organic beef and BBQ, and mouthwatering desserts from chocolates and parve ice cream to cakes and cupcakes, among many others. Since 1948, Royal Wine Corp., also known as Kedem, has been owned and operated in the United States by the Herzog family, whose winemaking roots date back eight generations to 19th century Czechoslovakia. Headquartered in Bayonne, NJ, today Royal Wine’s portfolio of domestic and international wines range from traditional wine producing regions of France, Italy and Spain, as well as Israel, New Zealand and Argentina. Additionally, Royal Wine Corp.’s spirit and liqueur portfolio offers some of the most sought after scotches, bourbons, tequilas and vodkas as well as hard to find specialty items such as flavored brandies and liqueurs. This entry was posted in Wine and tagged 360, 360 Magazine, Albariño, Amare Stoudemire, Argentina, Australia, Bayonne, bbq, bison, Bordeaux Blanc 2017, bourbons, Bourgogne Rouge Pinot Noir, Cabernet-Petit Verdot, cakes, California, Canada, caterers, Château Clarke, Château du Tertre, Château Giscours, Château Guiraud, Château Lascombes, Château Montviel, Château Saint-Corbian, Chelsea piers, Chile, chocolates, creative cuisine, cupcakes, Czechoslovakia, delicacies, Domaine Ternynck Bourgogne Blanc Chardonnay, Don Alfonso Sauvignon Blanc, fine kosher wines, foodie, France, G de Château Guiraud, Gabriel Geller, Global Society, gourmet specialty companies, Herzog Special Reserve Albariño 2017, Herzog Winery, Israel, Italy, Jay Buchsbaum, Kfar Shamay vineyards, KFWE, KFWE Gourmet Food, kosher chefs, Kosher Food & Wine Experience, kosher poke, Listrac-Médoc, NBA star, New York, NJ's Royal Wine Corp., oenophiles, Oregon, organic beef, Pacifica Riesling 2017, parve ice cream, Passover, Petit Guiraud, Pier 60, Pomerol 2016, PR Director, Ramon Cardova Albariño 2017, Rebecca Kang, restaurateurs, Royal Wine, Saint-Estèphe, Saint-Estèphe 2016, Sauternes 2017, scotches, Secret Reserve Malbec 2016, Shiloh Winery, showcase, spain, Spain’s Rías Baixas, spirits, Stoudemire Grand Reserve, Stoudemire Private Collection, sushi, Teperberg Providence 2013, tequilas, trend-setting cuisine, Upper Galilee, Vaughn Lowery, Vignobles Péré-Vergé, vodkas, washington, wine blogger on January 31, 2019 by wp360mag. Nineteen innovation pioneers were announced on January 8th as the 2019 Class of the National Inventors Hall of Fame®(NIHF) on the main stage at CES®. Chieko Asakawa invented the Home Page Reader (HPR), the first practical voice browser to provide effective Internet access for blind and visually impaired computer users. Designed to enable users to surf the internet and navigate web pages through a computer’s numeric keypad instead of a mouse, HPR debuted in 1997; by 2003, it was widely used around the world. Kodosky and Truchard introduced LabVIEW in 1986 as a graphical programming language that enables user-defined testing and measurement and control systems. It grew to be used by engineers, scientists, academics and students around the world. Rebecca Richards-Kortum develops low-cost, high-performance medical technologies for people in places where traditional medical equipment is not an option. She’s led the development of optical technologies to improve early detection of cervical, oral and esophageal cancer; and tools to improve newborn survival in Africa, including the Pumani CPAP system for newborns with breathing problems; BiliSpec for measuring bilirubin levels to detect jaundice; and DoseRight, for accurate dosing of children’s liquid medication. Thompson and Ritchie’s creation of the UNIX operating system and the C programming language were pivotal developments in the progress of computer science. Today, 50 years after its beginnings, UNIX and UNIX-like systems continue to run machinery from supercomputers to smartphones. The UNIX operating system remains the basis of much of the world’s computing infrastructure, and C language — written to simplify the development of UNIX — is one of the most widely used languages today. Schweitzer brought the first microprocessor-based digital protective relay to market, revolutionizing the performance of electric power systems with computer-based protection and control equipment, and making a major impact in the electric power utility industry. Schweitzer’s more precise, more reliable digital relay was one-eighth the size, one-tenth the weight and one-third the price of previous mechanical relays. Walt created microwell arrays that could analyze thousands of genes simultaneously, revolutionizing the field of genetic analysis. His technology accelerated the understanding of numerous human diseases and is now being used in diagnosis. It has also made DNA sequencing more affordable and accessible. Bill Warner invented the Avid Media Composer — a digital nonlinear editing system for film and video. Warner’s technology revolutionized film and video post-production by providing editors with faster, more intuitive and more creative techniques than were possible with traditional analog linear methods. Beyer, Sprague, Baer and Novello were part of the Merck Sharp & Dohme Research Laboratories team that pioneered thiazide diuretics, the first class of drugs to safely and effectively treat hypertension. Today, thiazide diuretics remain a first-line treatment for high blood pressure and related heart problems. Virtually all of today’s electric drills descend from the original portable hand-held drill developed by Black and Decker, whose invention spurred the growth of the modern power tool industry. By 1920, Black & Decker surpassed $1 million in annual sales and soon had offices in eight U.S. cities and a factory in Canada. Today, the company is known as Stanley Black & Decker. Higgins, a New Orleans-based boat builder and inventor, developed and manufactured landing craft critical to the success of the U.S. military during World War II. The best known was the Landing Craft, Vehicle, Personnel (LCVP), or Higgins Boat, used to land American troops on the beaches of Normandy on D-Day. The son of slaves, Boston-area entrepreneur Joseph Lee was a pioneer in the automation of bread and bread-crumb making during the late 1800s. The self-educated inventor was a successful hotel and restaurant owner who created his machines to allow for greater efficiency in his kitchens, and by 1900 his devices were used by many of America’s leading hotels and were a fixture in hundreds of the country’s leading catering establishments. Dentist and biochemist Muhler and inorganic chemist Nebergall developed a cavity-preventing product using stannous fluoride. In 1956, Crest®toothpaste was introduced nationally. Four years later, it became the first toothpaste to be recognized by the American Dental Association as an effective decay-preventing agent. For full biographies of each Inductee, visit invent.org/honor/inductees/. The Class of 2019 will be honored at “The Greatest Celebration of American Innovation,” a two-day event held in our nation’s capital. Danica McKellar — star of the TV show “The Wonder Years,” Hallmark Channel regular, mathematician and author — will serve as master of ceremonies. 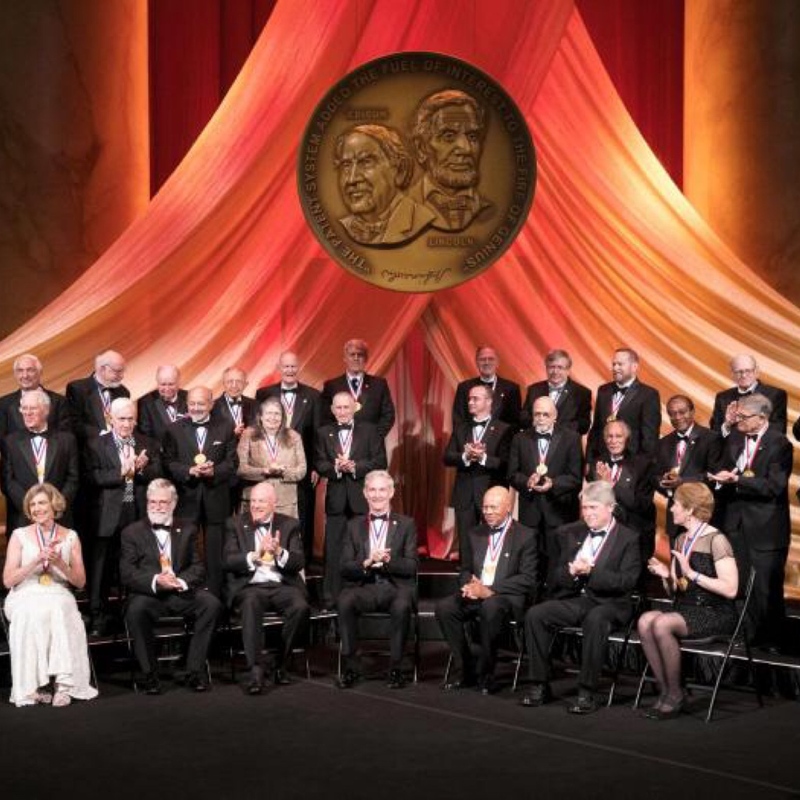 • May 2 – The 47th Annual National Inventors Hall of Fame Induction Ceremony will be held at the National Building Museum in Washington, D.C., where the new Inductee class will be honored for their contributions to society during an evening including a black-tie dinner, ceremony and after party. To learn more about the event, visit invent.org/honor/inductees/induction-ceremony/. This entry was posted in Uncategorized and tagged 2019, 360, 360 Magazine, advances, Bill Warner, ceremony, ces, CES 2019, daily lives, diverse, editing, events, game-changers, Global Society, Hall of Fame class, highly anticipated, honor, Inductees, industry, innovators, life-saving, national, National Inventors Hall of Fame, NIHF Induction Ceremony, Reid Urban, significant, superhero, Vaughn Lowery, washington, well-being on January 14, 2019 by wp360mag. 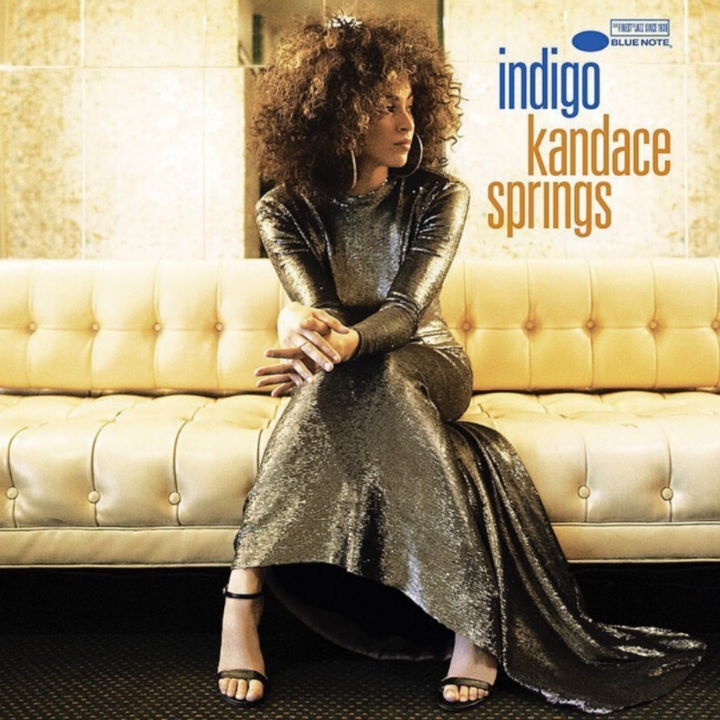 Singer and pianist Kandace Springs has released her remarkable second album Indigo (Blue Note), a 13-track LP of originals and choice covers that showcases the full breadth of Kandace’s artistry from smoldering R&B (People Make the World Go Round , 6 8) to gorgeous jazz ballads (Unsophisticated, featuring Roy Hargrove) to the pop songcraft of “Breakdown” and Don’t Need The Real Thing. All but two tracks are produced by drummer/producer Karriem Riggins (Common, Erykah Badu) with additional production by Jamie Hartman (Rag’n’Bone Man), Jimmy Hogarth (Amy Winehouse, Corinne Bailey Rae), Jimmy Harry (Madonna, P!nk), and Evan Rogers and Carl Sturken (Rihanna). Indigo is available on vinyl, CD, download, and streaming services. For Kandace it boils down to a question that connects past to present: “What would Nina Simone do if she had the technology of today? You could never put Nina in a boxߞshe would do a blues followed a classical piece, a jazz standard and then a Beatles cover. This LP took a lot of inspiration from that it’s a mix of everything that I am.” Indigo offers a fairly plausible answer to that impossible query: songs that swirl classical composition with quiet-storm cool, jazz poise with hip-hop swing, tropical warmth with soulful depth, and earthen groove with airy psych. Kandace will embark on a U.S. headline tour beginning September 28 that includes album release shows in Los Angeles (Troubadour, October 1), New York (Sony Hall, October 28), and a hometown Nashville show (City Winery, November 4), followed by performances in Europe and Asia. See below for a full list of tour dates and visit kandacesprings.com for ticket info. Kandace began gigging around Nashville, and eventually an early demo she recorded caught the ears of Evan Rogers and Carl Sturken, the production team who have written hits for Shakira, Christina Aguilera, and Kelly Clarkson, and are best known for discovering Rihanna as a teen and signing her to their production company SRP. Rogers flew to Nashville with an offer to sign Kandace. Still only 17 years old at the time she and her family decided that it wasn’t the right time to pursue a recording career, instead taking a job at a downtown Nashville hotel where she valet parked cars by day and sang and played piano in the lounge at night. A few years later, Kandace was talking about going to automotive design school, but her mother suggested that she get back in touch with Rogers and Sturken. She instead moved to New York and started working seriously on new songs and demo recordings. She eventually landed an audition with Blue Note President Don Was at the Capitol Records Tower in Los Angeles, winning him over with a stunning performance of Bonnie Raitts “I Can’t Make You Love Me” (the original of which he had coincidentally produced). If you listen closely to Indigo, you’ll hear a nod to Prince in the lyrics of “Fix Me” but the best tribute she could pay to him, Ms. Simone, and the humble legacy of the man who introduced her to music, her father, is by, as Karriem words it, “creating something that adds to the art form.” With Indigo, an album that couldn’t have been made by anyone but her, Kandace Springs does exactly that. This entry was posted in Uncategorized and tagged 360, 360 Magazine, Afropunk, album, Amsterdam, Amy Winehouse, Arizona, artist, Atlanta, BADU, Beijing, Blues Anaheim, Bonnaroo, Boston, California, Carl Sturken, Charlotte, China, Christina Aguilera, Common, Corinne Bailey Rae, Dianna Krall, England, Erykah, Evan Rogers, France, Georgia, Global Society, Hannah Audrey Lowe, Indigo, Jamie Hartman, Japan, Jimmy Harry, Jimmy Hogarth, Kandace Springs, Karriem Riggins, Kelly Clarkson, la, Letterman Kimmel and Fallon, London, Los Angeles, ma, Madonna, mojo, musician, Nashville, Netherlands, New York, north carolina, Oregon, Osaka, P!nk, Paris, Pennsylvania, Philadelphia, Phoenix, pianist, Portland, Prince, r&b, Rag'n'Bone Man, rihanna, San Diego, San Francisco, Seattle, Shakira, singer, Tennessee, Tokyo, Vancouver, Vaughn Lowery, Wall Street journal, washington, Washington dc on September 12, 2018 by wp360mag. Returning to the road in North America, Lenny Kravitz will launch the third leg of his 2018 world tour on September 21 at Chastain in Atlanta, GA. As part of the tour, he performs in major markets across the United States and stops at Bourbon & Beyond Festival in Louisville, KY on September 22 before concluding the jaunt at The Palladium in Los Angeles, CA on October 8. He will be joined by opening act Curtis Harding on select dates. Tickets go on-sale July 27th, 2018. Check out the confirmed itinerary below.The iconic artist will be touring in support of his upcoming album, Raise Vibration releasing September 7th, 2018 and available for pre-order now, click HERE. Each ticket purchased includes a physical copy of ‘Raise Vibration’ with an option for upgrading to a vinyl copy.Introducing this next musical chapter, he preceded the record’s arrival with a pair of two new anthems thus far. The seven-minute plus opus It’s Enough twists and turns through percussive unrest, straining striking vocals through a hypnotic haze. It quickly crossed the 1-million-mark on Spotify and earned critical applause with The Guardian writing, it expands into a soulful, smooth reverie. Propelled by a hummable funk riff and background falsetto from his late friend Michael Jackson, the follow-up single LowÉd quickly drummed up 1.8 million Spotify streams in a few weeks time. The minimalist Jean-Baptiste Mondino-helmed music video spotlights Kravitz pounding out what Rolling Stone described as a sensual groove. Highlighting his penchant for pushing boundaries, these tracks just scratch the surface of what to expect on Raise Vibration.Be on the lookout for more very soon.With new music and extensive tour plans for 2018, Kravitz continues moving forward at light speed as a musical innovator.On his eleventh full-length album, Raise Vibration, he elevates the union of rock ‘n’ roll, funk, blues, and soul once again. 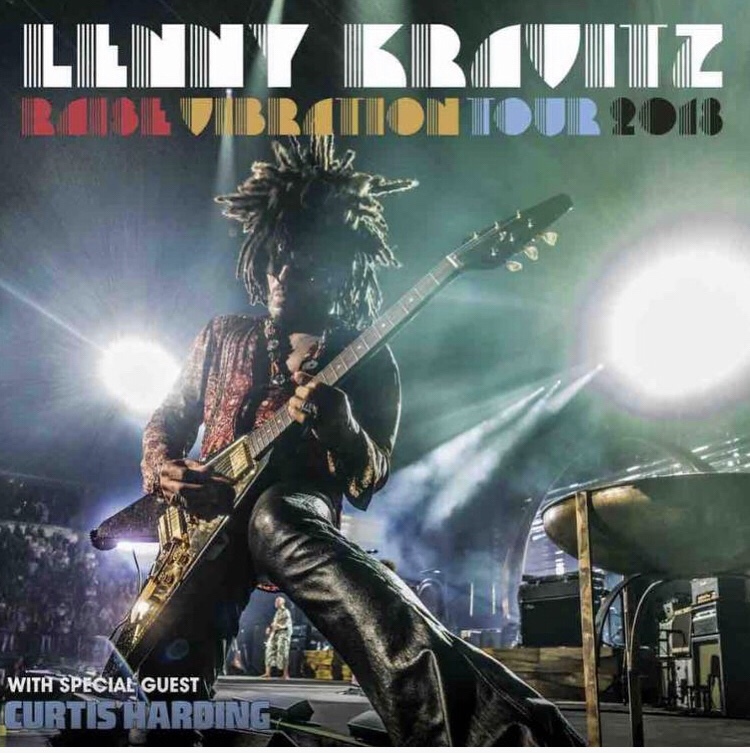 Receptive to youthful inspiration, but enlightened by three decades of wisdom, it represents a powerful creative rebirth and a bold, bright, and brilliant body of work befitting of his legacy and boundless spirit.STREAM LOWSTREAM RAISE VIBRATIONThroughout Raise Vibration, Kravitz remains a true original. Since the arrival of Let Love Rule in 1989, he has sold 40 million albums worldwide and won four consecutive GRAMMY Awards, setting the record for most wins ever in the ‘Best Male Rock Vocal Performance’ category. Fellow icons from Madonna, Aerosmith, Prince, David Bowie, Mick Jagger, and Jay-Z to Drake, Avicii, and Alicia Keys have jumped at the chance to collaborate. An acclaimed actor, his on-screen output includes The Hunger Games franchise, Precious, and Lee Daniels ‘The Butler’. His creative firm Kravitz Design Inc, touts an impressive portfolio of noteworthy ventures, with a range that includes hotel properties, condominium projects, private residences, and high-end legendary brands like Rolex, Leica and Dom Perignon. This entry was posted in Fashion + Music and tagged 360, 360 Magazine, Atlanta, Broomfield, las vegas, Lenny Kravitz, Los Angeles, Louisville, music, Music Tour, New York, San Francisco, Vaughn Lowery, washington, Zhynyrah Eure on July 23, 2018 by wp360mag. Interscope rock band The Struts announce a fall North American headline tour today. Currently on the road supporting the Foo Fighters on their sold-out tour, including two shows earlier this week at Madison Square Garden in New York City, The Struts will kick off The Body Talks Tour September 21st at St Andrew’s in Detroit. White Reaper, Spirit Animal, The Wrecks and Thunderpussy support on various dates (see below for complete itinerary). Tickets for The Body Talks Tour go on sale Friday, July 20th. Visit thestruts.com for more info. “Body Talks” is the new single from the acclaimed U.K. rock band and is the first song to be released from The Struts’ forthcoming album—the highly anticipated follow up to their 2016 debut, Everybody Wants. 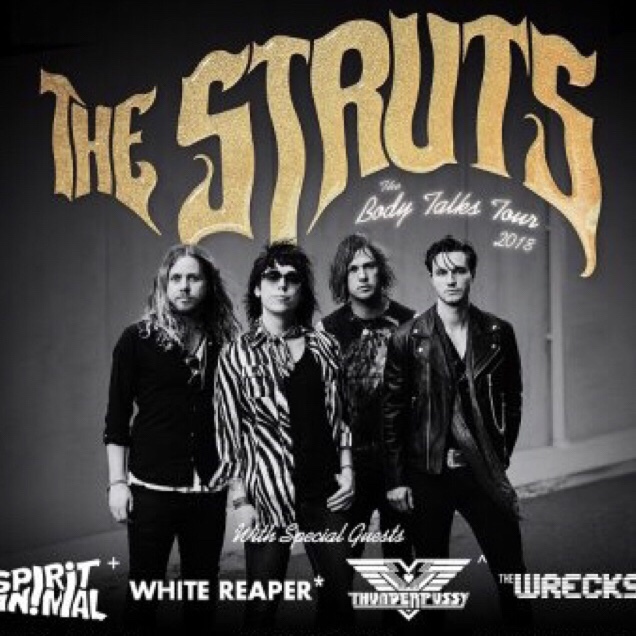 The Struts have been on the road nonstop since their formation including worldwide headline shows, prestigious festival plays and support slots for The Rolling Stones, The Who, Guns N’ Roses, Mötley Crüe and The Killers. Most recently they sold out four nights at the legendary Roxy Theatre in Los Angeles. Formed in Derby, England in 2012, The Struts are Luke Spiller (lead singer), Adam Slack (guitar), Jed Elliott (bass) and Gethin Davies (drums). This entry was posted in Uncategorized and tagged 360, 360 Magazine, Adam Slack, Albany, apple music, Atlanta, Detroit, Gethin Davies, guns n roses, interscope, iTunes, Jed Elliot, Luke Spiller, Madison Smushkevich, motley crue, music, New York, Richmond, Roxy Theatre, Sacramento, San Francisco, sound cloud, spotify, The Body Talks Tour, the killers, the rolling stones, The Struts, The Who, Toronto, tour, Vaughn Lowery, vevo, washington, YouTube on July 18, 2018 by wp360mag. Food rescue nonprofit City Harvest and produce company D’Arrigo Bros. of New York today launched a summer-long program in New York City with Brighter Bites, a nonprofit organization that tackles childhood obesity by providing low-income families with free fresh produce and nutrition education. This effort builds on the three organizations’ similar work during the school year to provide free produce at schools with students living in underserved communities, and will increase access to produce for more than 400 families through programs at three summer camps in Queens. According to City Harvest, more than 1.2 million New Yorkers face hunger every year, including nearly one in five New York City children. In Queens alone, over a quarter million residents are food insecure. Through City Harvest and Brighter Bites’ produce distribution and nutrition education programming, parents have the ability to learn which healthy foods their children have a taste for, and the recipe cards and tip sheets that come with the produce each week help them prepare meals in fun and nutritious ways. Brighter Bites and City Harvest are kicking off programs at three summer camps in Queens that will provide more than 50,000 pounds of produce, along with kid-friendly bilingual recipes and tip sheets in English and Spanish on topics ranging from “Eating the Rainbow” to how bringing kids into the kitchen to help with meal prep makes them more invested in trying new foods. 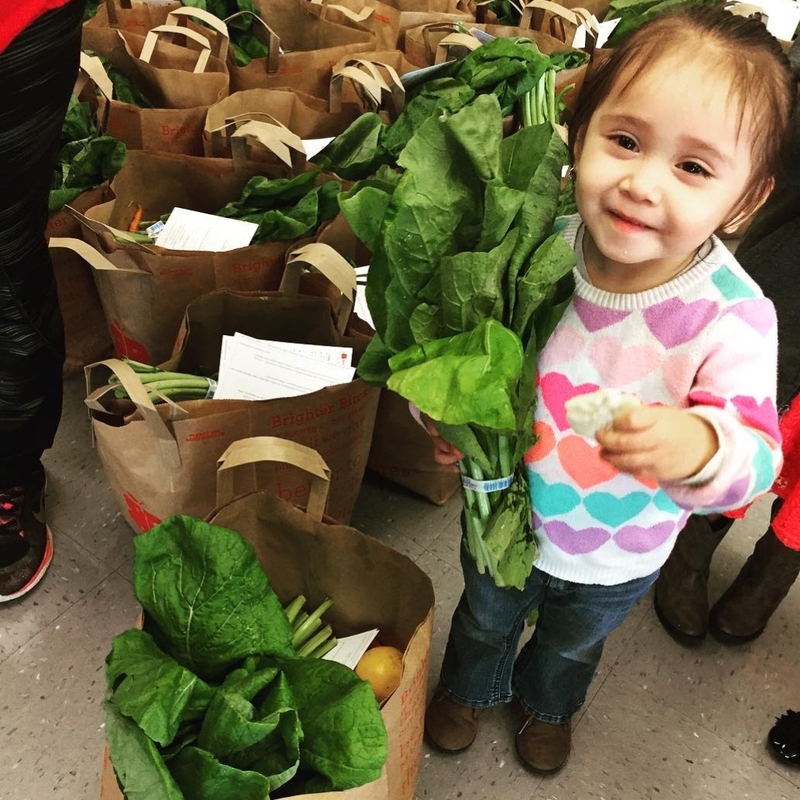 Each week participating families will receive two bags containing approximately 50 servings of eight to 12 different fresh produce items along with the nutritional educational materials. D’Arrigo is generously donating a third of the fresh fruits and vegetables each week, with two-thirds coming from City Harvest. Since launching in 2012, Brighter Bites has distributed more than 17 million pounds of produce and hundreds of thousands of nutrition education materials to 200,000 individuals from more than 40,000 families through schools and summer camps in New York City, Houston, Dallas, Austin, Southwest Florida, and Washington, D.C. Brighter Bites uses a simple formula for introducing healthy lifestyles to families: produce distribution, nutrition education, and a fun food experience that includes sampling a recipe of the week to see just how great produce can taste. In New York City, parents and community volunteers will pack bags of fresh fruits and veggies for families and teachers to take home for six weeks this summer. Brighter Bites is a nonprofit that creates communities of health through fresh food with the goal of changing behavior among children and their families to prevent obesity and achieve long-term health. Brighter Bites is an evidence-based, multi-component elementary school, preschool, and summer camp program that utilizes reliable access to fruits and vegetables, nutrition education, and consistent exposure to recipes and messages that feature fresh food. Since 2012, Brighter Bites has provided more than 17 million pounds of produce and 100,000s of nutrition education materials to more than 40,000 families and teachers in Houston, Dallas, Austin, New York City, the Washington, D.C. Metropolitan area, and Southwest Florida. To learn more about Brighter Bites visit BrighterBites.org. City Harvest is New York City’s largest food rescue organization, helping to feed the more than 1.2 million New Yorkers who are struggling to put meals on their tables. We will rescue 61 million pounds of food this year and deliver it, free of charge, to hundreds of food pantries, soup kitchens, and other community partners across the five boroughs. Our programs help food-insecure New Yorkers access nutritious food that fits their needs and desires; increase partners’ capacity; and strengthen the local food system, building a path to a food-secure future for all New Yorkers. To learn more, visit CityHarvest.org. This entry was posted in Uncategorized and tagged 360 Magazine, About D’Arrigo Bros. of New York, Atrin Yazdani-Biuki, Austin, bilingual recipes, Brighter Bites, Bronx, Children, City Harvest, customers, D'Arrigo Bros. of New York Inc., D.C., Dallas, D’Arrigo, Eating the Rainbow, elementary school, English, families, Florida, food, fruit, Fruits, Global Society, health, Houston, Hunts Point Terminal Market, Kate MacKenzie, kids, meals, metropolitan, Metropolitan area, New York, new york city, New Yorkers, nuitrition, organization, pop culture, preschool, produce, programs, quality, queens, recipes, Samuel Newman, Southwest Florida, spanish, summer, summer camp, teachers, Vaughn Lowery, vegetable, Vegetables, washington on July 17, 2018 by wp360mag.